Chop the leek and the herbs. Put all the ingredients in a pot. Add enough water to cover the mussels. Bring to a boil. As soon as the mussels open remove from heat. 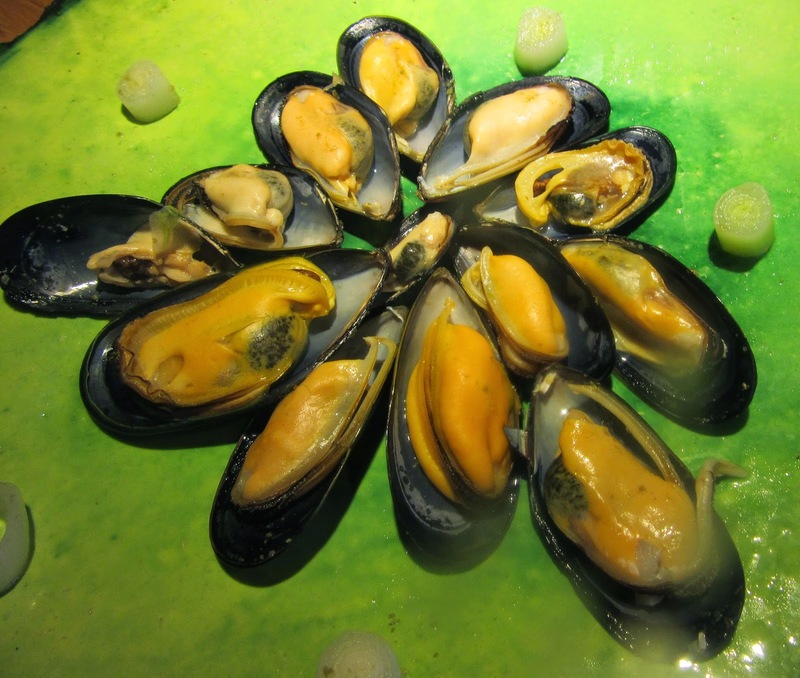 Remove the vacant shell and serve the mussel in the other shell. 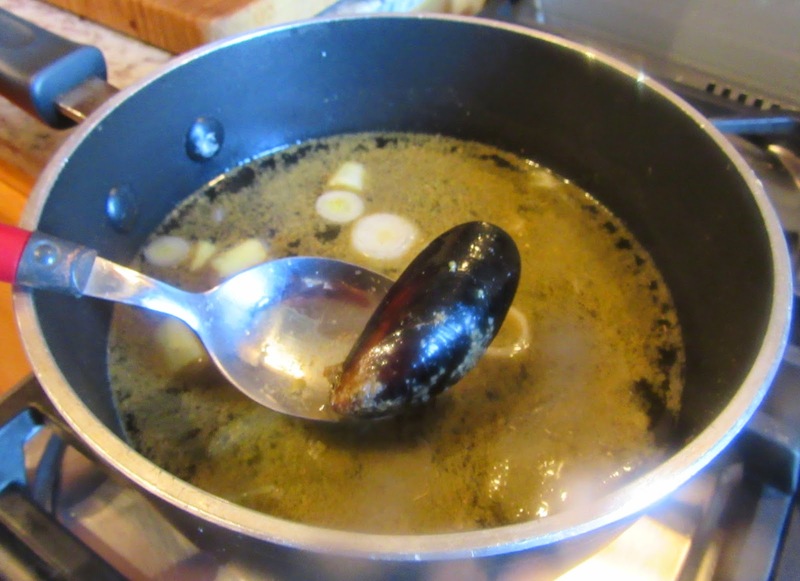 Mix liquamen, chopped leek, cumin, passum, savory, and wine, dilute the mixture with water, and cook mussels in it. See blog titled almorí, published August 25, 2011 for recipe. Raisin wine, wine made from semi-dried grapes. As it was not found, regular wine was used instead. Normally fresh lemon is squeezed over the mussels at this point but it must be remembered that Romans did not have lemons.